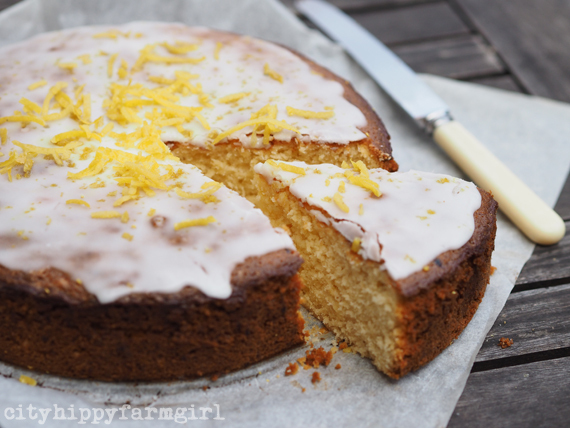 This entry was posted in Food Glorious Food, Making, Creating + Frugal Living and tagged easy baking, lemon, lemon and olive oil cake, olive oil, seasonal, simple cake recipe by cityhippyfarmgirl. Bookmark the permalink. So good to hear that Saskia 🙂 Yay! Will have a look on FB. Super easy huh, who has time for fluffying about I say, well except if they are Wookie Cookies. Me too! Cheers to blender cakes and non creaming business. Sounds like a huge undertaking Charlie….good luck! and look forward to hearing about it all from the other side. My friend Con gave me a huge bag of lemons from hs backyard tree, each one is between 200 and 300g so I may adjust the amounts in your recipe Brydie. You picked a perfect day to post this, I’m making lemon curd this afternoon and now a lemon and olive oil cake. People in my house will be smiling this evening. That’s a lot of lemony love there Rose and all good things I say. Now, just thinking, if you are feeling parrrrrticularly lemony I reckon some curd would taste quite good with the cake. Oh yes indeed. Yum Brydie, I can almost smell it from here. I love the addition of olive oil cakes…thanks for sharing! The olive oil makes it really lovely and moist doesn’t it. Do you grow olives Jane, can’t quite remember. what a lovely, zesty cake. And I love a two-for-one cake recipe: so good to get a fancy cake plus muffins for the lunchboxes from one bake session! Oh it looks splendid. Muffins made from cake recipes are so good too. Keeps the small and big ones sorted then. You’re welcome Sam….go forth and be lemony. This cake is fantastic! I halved the recipe and it was perfect. Thankyou. Wonderful Anna! Thanks for letting me know. 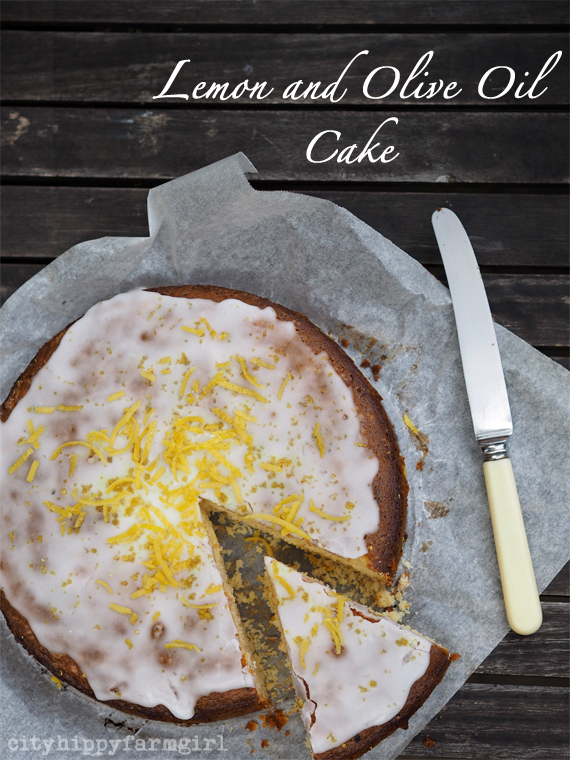 I love this recipe – the citrus flavours with the moistness of the olive oil. Has anyone tried substituting the sugar for honey to add to the health aspect? I haven’t Dan, as honey is never in super abundance. But if you do give it a go, let me know. I think it would work.